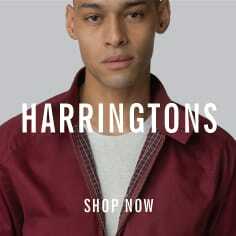 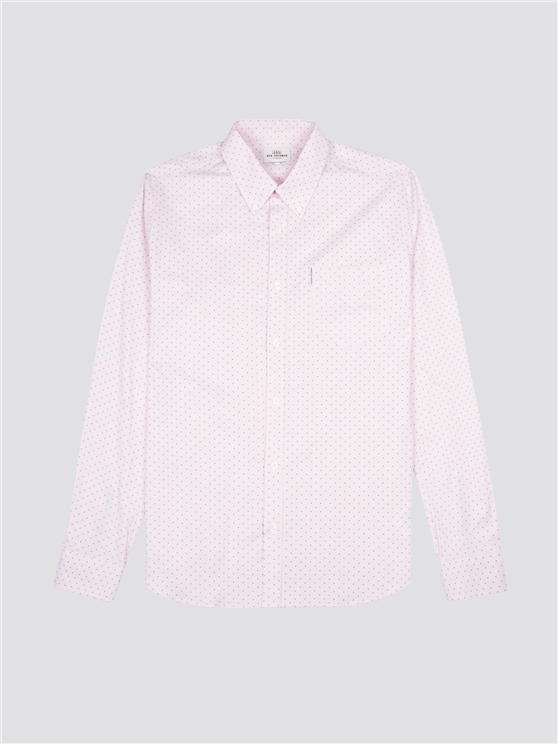 The iconic, long sleeved pink Oxford Shirt - a Ben Sherman classic, with a classic blue polkadot pattern that creates an immediate impression. 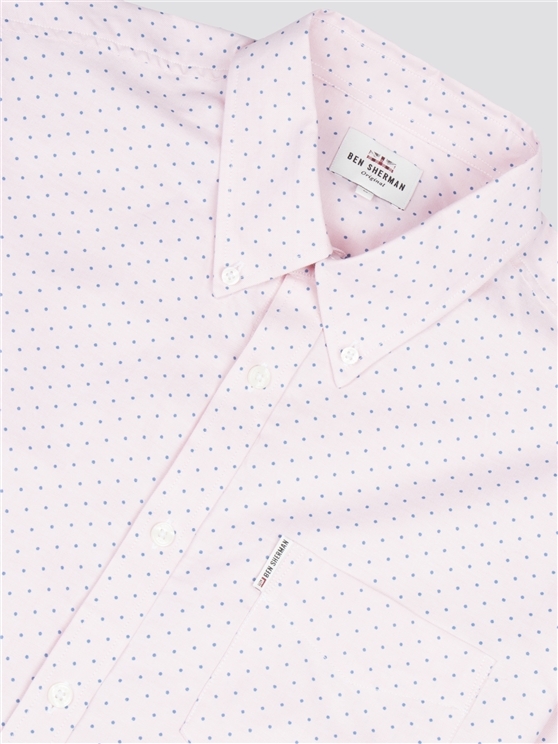 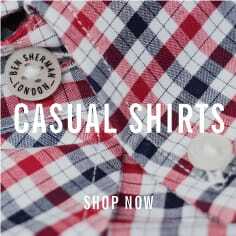 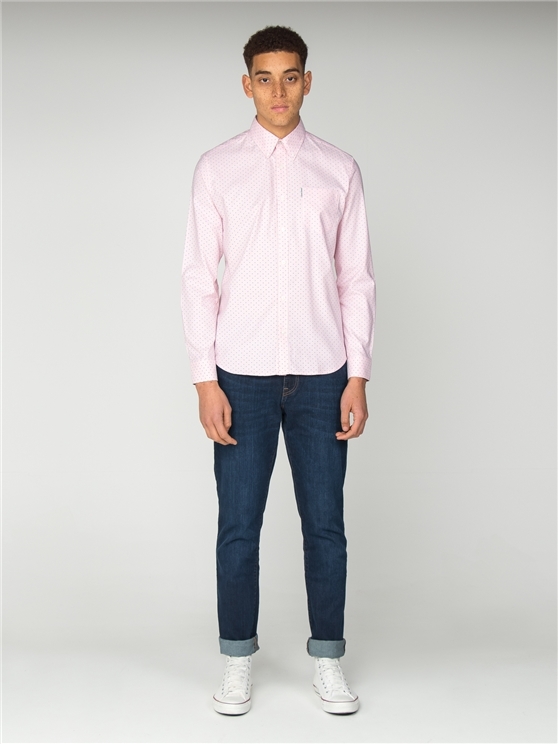 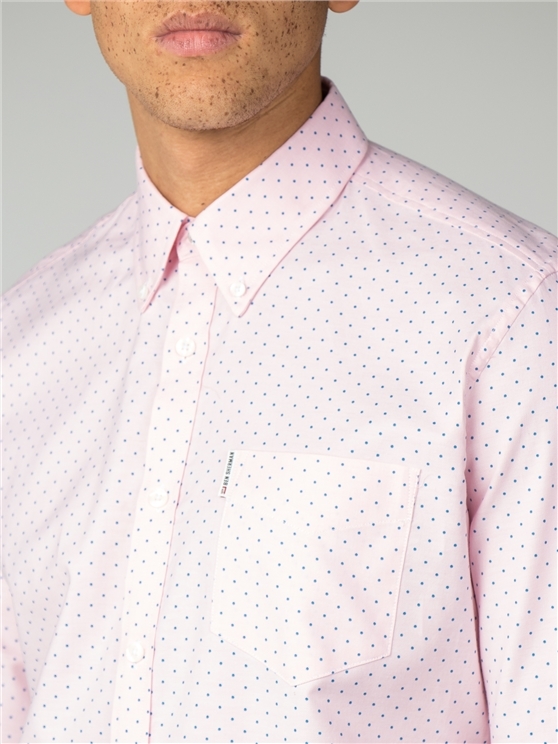 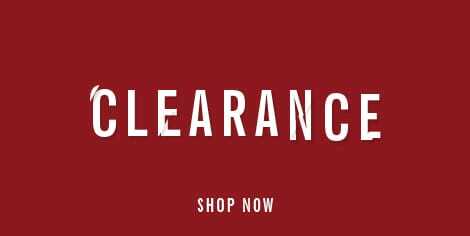 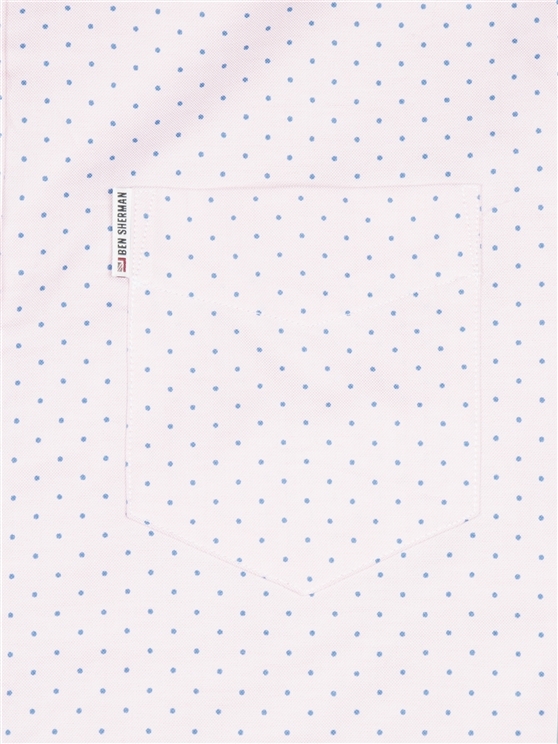 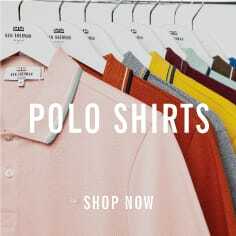 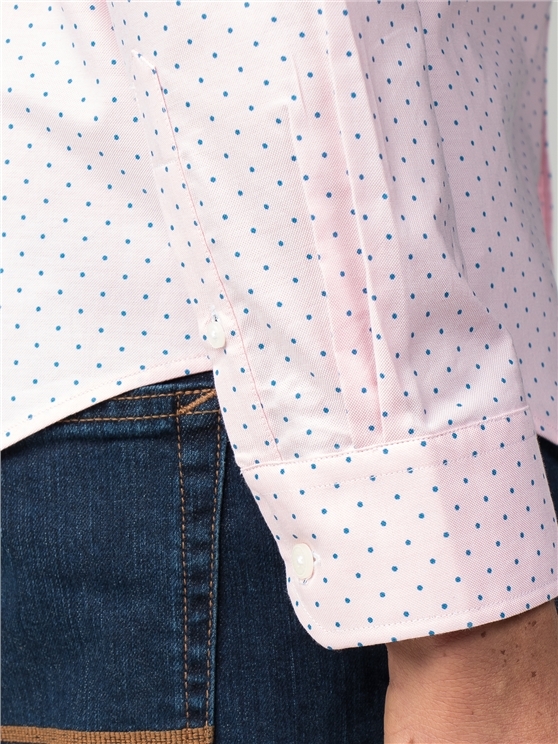 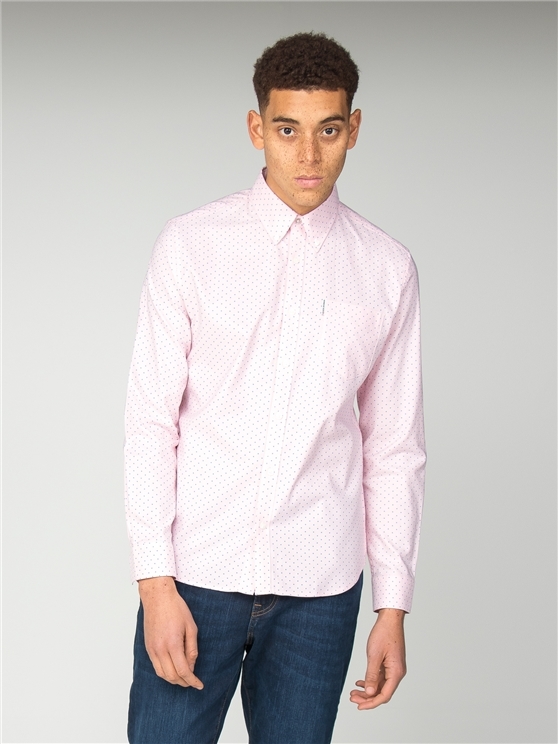 With the Ben Sherman standards in 100% cotton premium fabric, two finger button down Oxford collar and a back box pleat, this pink Oxford Shirt's quirky polka dot design is a truly stylish accent for any wardrobe. 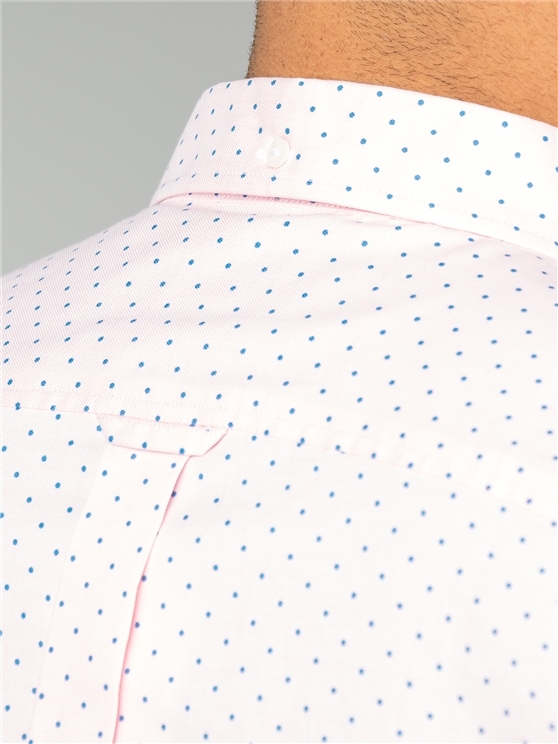 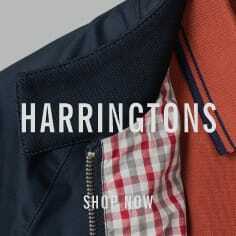 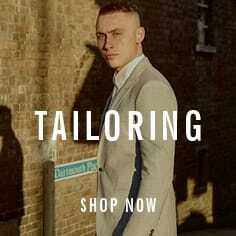 The Oxford Polka Dot: a signature style statement shirt for men.